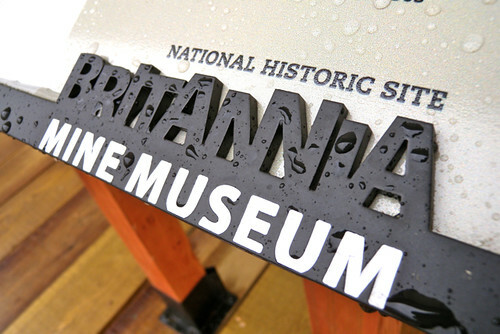 The Britannia Mine Museum is re-launching next weekend after a name change (from the BC Mining Museum), refreshed logo, and updated visitor experience on the grounds of the old Britannia Mine, about 10km south of Squamish. 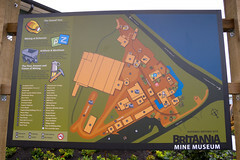 John and I were invited up for the day to check out the grounds, the new buildings, and go underground to see what the life of a miner at Britannia was like. 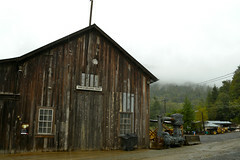 The mine-site was established as a National Historic Site and a BC Historic Landmark in the early 1970s but it began its life in 1904. It soon grew to become the largest copper mine in the British Empire and at one point, produced 17% of the world’s copper. 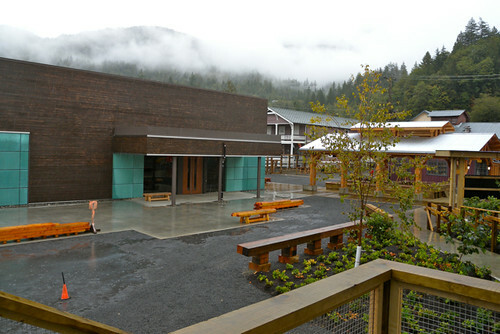 The new visitor’s centre leads out into a courtyard of old wooden buildings huddled together with a boardwalk, rocky pathway, and remnants of giant metal machines from an era gone-by. Heading into the new information centre, the sound of metal-on-rock guides you through a quick corridor featuring equipment and hologram-like shadows of miners. You can duck around a corner to watch their new feature film, which we both really enjoyed. 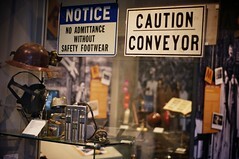 As far as movies in museums go, every bit of information provided was interesting on many levels. Walking out into a hall you can peek at minerals and precious metals on display; from meteorite to quartz on rhodochrosite. 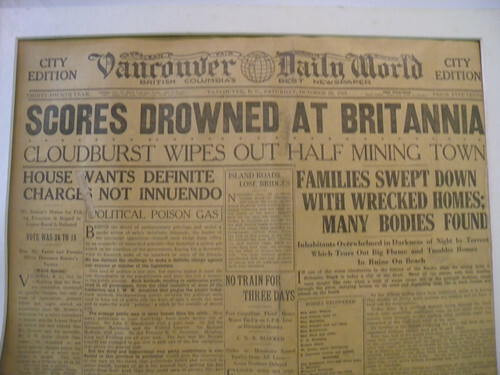 You’ll also learn about how the mine cleaned up its act since it was one of North Americaâ€™s largest sources of heavy metal pollution (straight into the waters of Howe Sound) for 70 years. 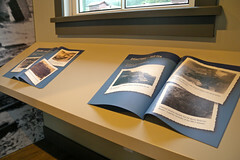 After playing with interactive displays with sliding touch-screens you can head outdoors once again to walk over to the old Administration Building. 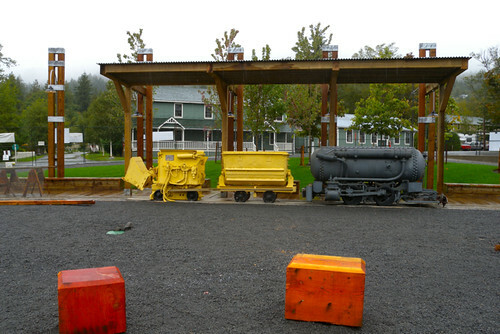 Here you’ll find an “A-Z” of life at Britannia and at the Mount Sheer townsite. There are antiques, such as old counting machines and drama club trophies and even lost love letters. 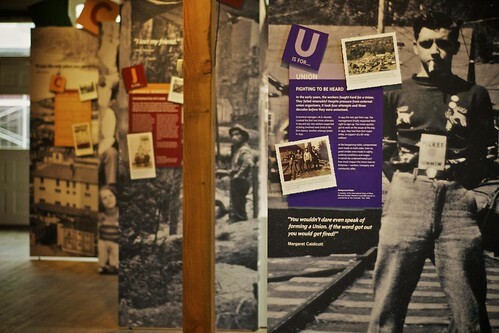 You’ll quickly notice that the museum focuses on two main aspects; mining (how it works, what it does, how it’s evolved), and life as a miner (history, life, and love in Britannia Beach & the Mount Sheer townsite). 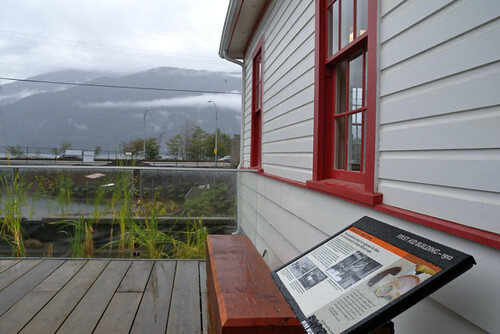 Stories of community gatherings, tales of tragedy, and all that was involved with life in Howe Sound during the first half of the last century fill the museum’s walls and display cases. It wasn’t until the late 1950s that the highway was constructed and connected the townsites to Vancouver. Until that time, for about 50 years, the only way in and out of Britannia was by pack horse over the mountains or steamship direct to Vancouver. 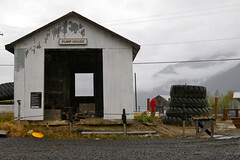 Aside from the isolation, the entire area was owned by the mine so daily life revolved around the work and the company. 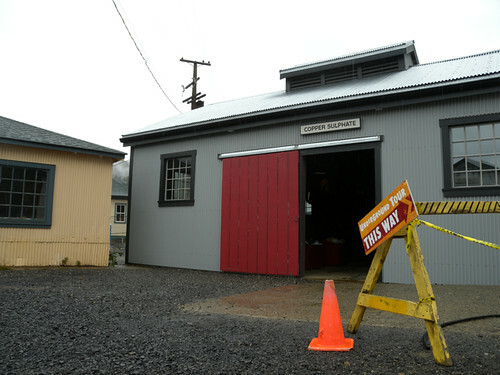 Once you weave your way through the buildings you can pick up a hard hat at the Copper Sulphate building and head up toward the Mining House for an underground tour that will take you through the side of the mountain. 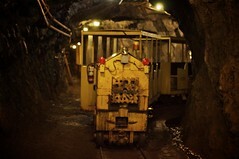 The 30 minute guided tour starts off on a train that leads you through the face of the hillside, through a small portion of the 200km of tunnels that make up the mine. 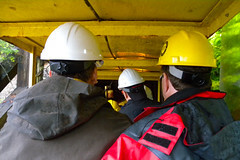 The guide explains how things worked in the tunnels and demonstrates some noisy machinery used by the miners. It’s a really neat experience but if you’re claustrophobic you may not like the first part of the tour, when you lose sight of daylight on either side of the tunnel. 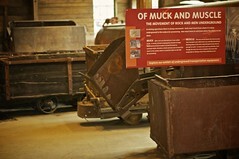 However, such was the extreme life of a miner — and the experience they are going for with the tour. After the tunnel, our guide took us through the Core Shed, and the iconic Mill 3 building. 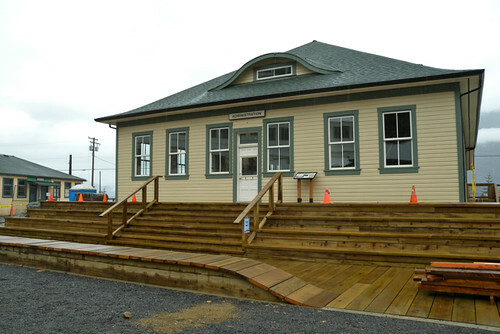 It’s the building that you can see from the Sea to Sky highway and has also been a set for many films and TV shows (from X Files to 21 Jumpstreet and Double Jeopardy). 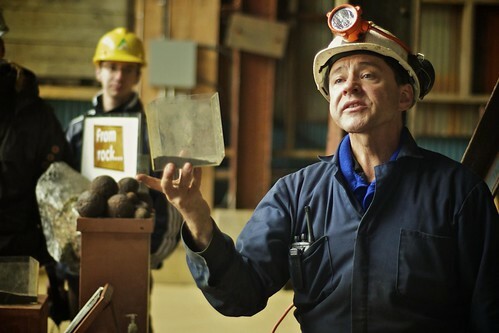 There we learned several more processes and by the end of the tour, you’ll have a pretty good idea of how solid stone could be mined, milled, and turned into pure concentrate powder, ready to be shipped out to the smelter. 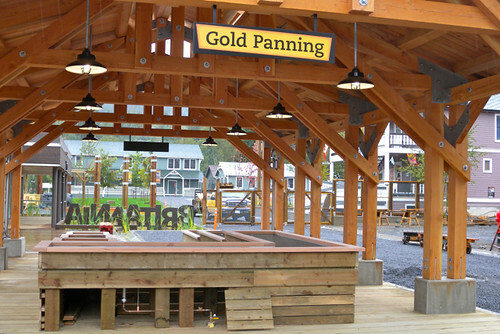 Other activities at the museum including gold panning workshops, performances, and a stroll through the gift shop. I noticed that since they are in the middle of re-branding, anything with a “BC Mining Museum” logo was 50% off. What I loved most about our visit was that among the dirt, dust, heavy metal, and rusted machinery, the museum incorporates the softer side of Britannia in their exhibits. 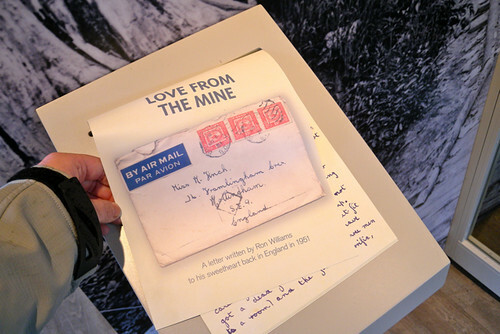 The love, the family, the sense of community, and the softer human elements of the mine — not just the cold hard stone. That, and it gave me more of an education about the region’s history, which I always find fascinating. 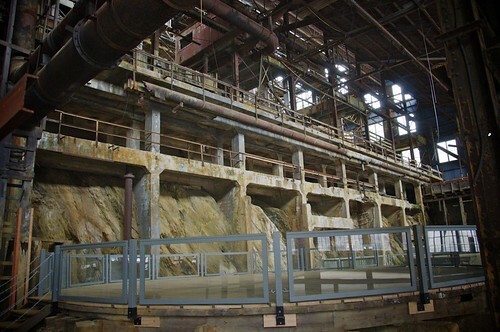 The Britannia Mine Follow them on Twitter @BritanniaMine and make a point to stop in during your next trip up the Sea to Sky, or make it your family’s next day-trip destination. I will draw one winner September 22nd at 12:00pm. Update The winner is Paul McEwan (@PaulMcEwan) – have fun at the mine with your family! I’ve enjoyed taking my nephews to the Britannia Mine. Now my nieces are old enough to go, and it would be great to win passes to take them. I look forward to seeing the changes that have been made. Thanks for your informative blog post! We have always driven past, but have never stopped. Perhaps one day on our way up to Squamish and Whistler, we’ll stop off and take a peek! Drove past for the hundredth time on the way to Live At Squamish – thought about stopping to check it out. Great article and pictures! I’d love to get there and know more about the mining age. That is one of my favorite X-Files locations! Great post! It certainly looks like a lot of work has gone into the rebranding – certainly makes me want to visit. Been by here many times and would love to go take a peek! I live in Squamish and I’ve never been there. I know I’d like it, but it’s so hard to plan a day to drive a few minutes and act like a tourist. Being a human is weird. Wow they sure have done a lot of fixing up since last October!! Looks very nice!! Thanks for sharing those amazing pix. I haven’t been here since I was a child… I’d love to take my kids there now! I would love to go! My boyfriend used to do research on corporate social responsibility and mining companies. He’d love it too! I’ve been working on this project, and the whole museum looks completely amazing! There has been a huge team of designers and builders involved, and it’s amazing that all the upgrades to the site (excluding the re-cladding of the concentrator building) have happened since October 2009. They’ve actually got another couple of phases coming up: Phase II will move some of the heritage houses from the old townsite to the north-west corner of the museum, and Phase II *might* (we’re working it out with the structural engineer) let people actually go into one of the upper floors of the concentrator building. But it’s definitely worth visiting a few times, as the whole site is completely incredible. 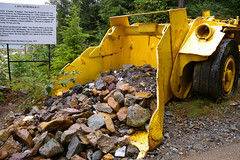 Every time the construction crews stuck a shovel in the dirt they would find another building foundation, artifact or crazy piece of machinery. 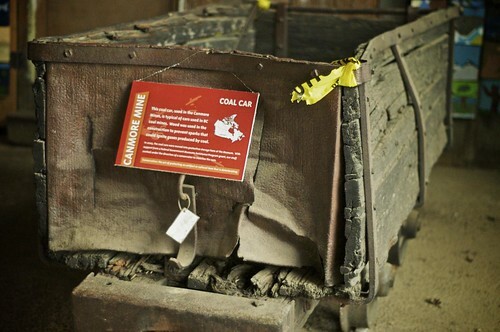 Everytime I pass by the Mine Museum, I kinda want to visit but have never despite having an interest in mining. It is always refreshing to see our site through the eyes of others. It was particularly nice to hear you speak so fondly of your experience with the softer side of the mining community ~ the people and their stories. That meant a lot to me personally, as a Britannia resident (32 years so far!) 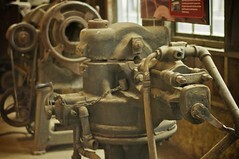 but also from my perspective as Acting Curator of Collections at the Britannia Mine Museum. Thanks for doing such a wonderful review and your photos are awesome. As a few have pointed out, we often drive by and think one day we’ll stop in there. We did. But it was half under reno’s and judging by your pictures of the tour we missed a lot. I am also interested in the clean up effort. Perhaps I’ll get a family pack and try it for real this time. …Off to tweet. Seems like something fun to do! Nice article, sounds like you had a great time there at the museum. This one is definitely on my to do list. Thanks for the info and pictures. Would love to take the family there to see. 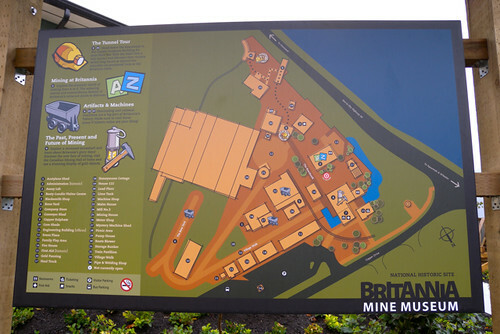 I learned more about Britannia and the mine from your post than from years of driving past. Great to see what they have done with the site. I loved this article. 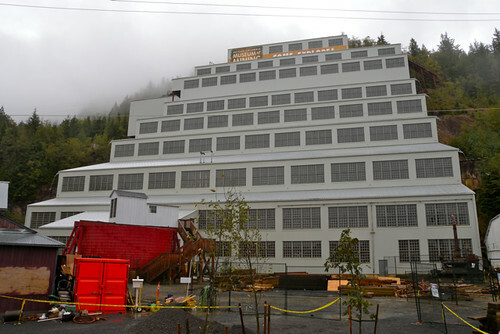 My grandfather worked in this mine for many years, and my dad and aunt went to school there until high school which they attended in Squamish. There used to be a picture of my grandfather in the museum before the renovation. 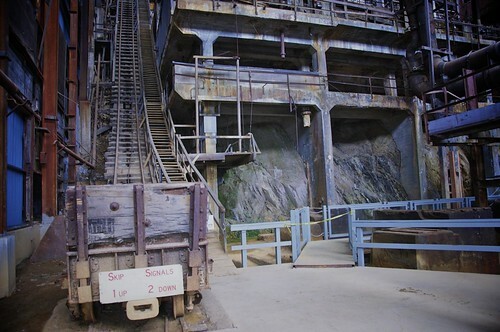 I havenâ€™t been to the mine since i was in elementary school (a lot of years ago now) and would love to see the renovations. This looks so awesome! I kept driving by this on my recent road trips and didn’t even realise it was a museum that I could go in. I would love to win these passes, though I might have to go either way. 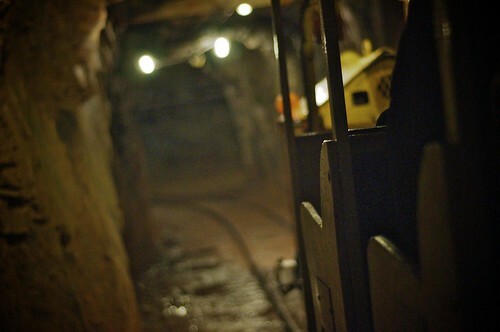 It’s been many years since I’ve been through the mine, I’d love to see all the new changes they’ve done. It’s been many years since I’ve been through the mine, I’d really like to see all the new changes they’ve done. ive always passed by this place on my way to whistler and never went in…if i win this id use it many times and learn all about it. BC’s history is so interesting! 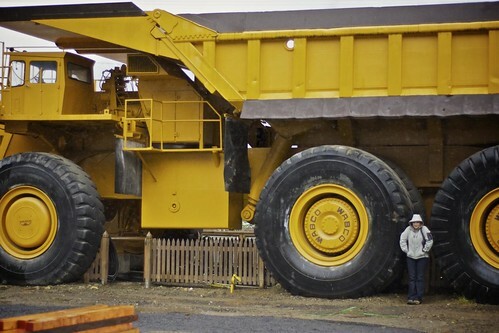 My 3 kids would love to take their Mommy and Daddy to this mine. We have driven past many times and always wondered what it would be like inside. I was wondering when they would be completed. My daughter went there with her class a couple of years ago. It was a fabulous tour but it was pretty bare bones. I have been promising my daughter we would take a day trip up there sometime soon and check it out. This would be all the incentive I need to actually follow through. The drive up there is just so beautiful, we forget how wonderful our own back yard is. IT WAS A NICE PLACE TO WORK AT. I AM GOING UP TO SEE THAT MUSEUM IN THE SPRING FOR SURE.